Implement active learning techniques ranging from snowball to problem-based learning. Write a teaching philosophy that reflects their values, goals, pedagogy, and assessment. Present student learning outcomes and realize these outcomes with instruction and assessments that promote student engagement. Develop innovative curriculum using backwards design. The 2019-2020 Institute will kick off with a week-long retreat June 3rd-7th in Sheridan, Wyoming. Full room and board will be provided. Participants will be responsible for their own travel. Applications ARE NOW OPEN. For more information on [SI]2, please contact LAMP Director Rachel Watson (rwatson@uwyo.edu). All UW faculty, UW PhD students, and Wyoming Community College faculty in STEM fields are welcome to apply. Figure 1: The reach of the LAMP over the course of 5 regular semesters and 3 summer semesters (summer 2016 – fall 2018). The first LAMP cohort of educators began training in the summer of 2016. Student numbers include a pilot active learning course taught in spring 2016. However, class and student numbers do not yet include community college data. Thirteen of the 72 fellows teach at five of our seven Wyoming community colleges: 2 faculty from Eastern Wyoming College (EWC), 6 faculty from Laramie County Community College (LCCC), 4 faculty from Northwest College (NWC), and 1 faculty member from Sheridan College. One graduate student trained in the 2016 cohort now teaches at Western Wyoming Community College. A majority of the classes (85 of 141) are lower division courses. Figure 2: The reach of the LAMP by Program or Department. Circle size indicates the number of students reached. Individual departments and programs within the biological and physical sciences are listed in order of the number of students reached. LAMP-trained educators in the Life Sciences Program have reached 4,661 students and those in the Chemistry department have reached 1,093 students. Instructors serving the Life Sciences Program hail from the Zoology/Physiology, Botany and Molecular Biology departments. The Microbiology Program is serviced by educators in the Veterinary Sciences, Chemistry and Molecular Biology Departments. To access the full LAMP Update as of Fall 2018, Click Here. 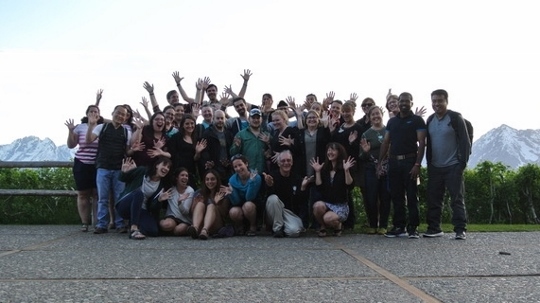 Participants in LAMP’s 2018-2019 Science Initiative Summer Institute (as well as the mentor’s supporting their learning) are pictured above. Participants are listed below. 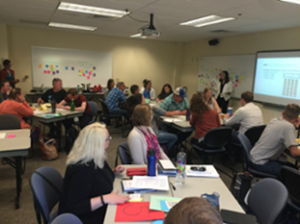 On the week of June 4th - 9th, 2018, twenty-five educators from the University of Wyoming, Northwest College, Sheridan College and Laramie County Community College attended a summer institute during which they received intensive training in active learning. In-depth training on Team-based Learning and Problem-based learning accompanied holistic training on all forms of hands-on, minds-on pedagogy. I had no idea about implementing active learning prior to the program. It was fantastic to learn from diverse mentors with various expertise. Michael Taylor (professor in the Department of Chemistry at the University of Wyoming) presents his instructional strategy. 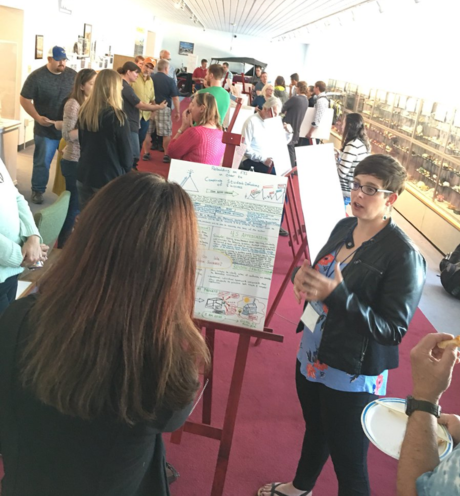 All participants will design or redesign curriculum based upon their learning at the Summer Institute. The first annual Science Initiative Summer Institute (SI2) was held June 7th through the 12th, 2016. it was considered a massive success by mentors, faculty and graduate students alike. The diversity and collaborative nature of the group led to unprecedented articulation, collaboration and innovation beyond that anticipated/predicted. 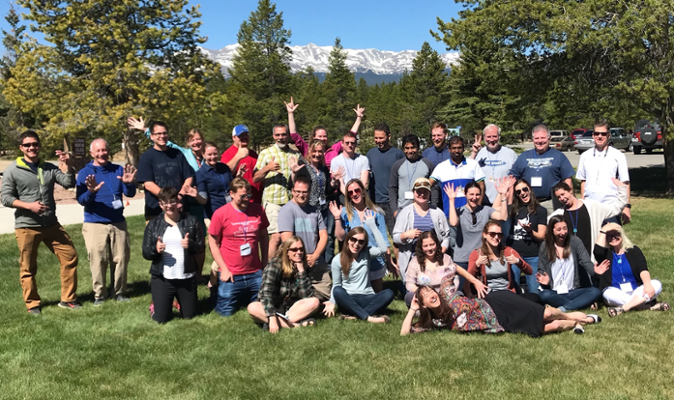 Fellows described the experience as being "transformational", "jump starting [their] active learning knowledge" and inspiring them to help other instructors. 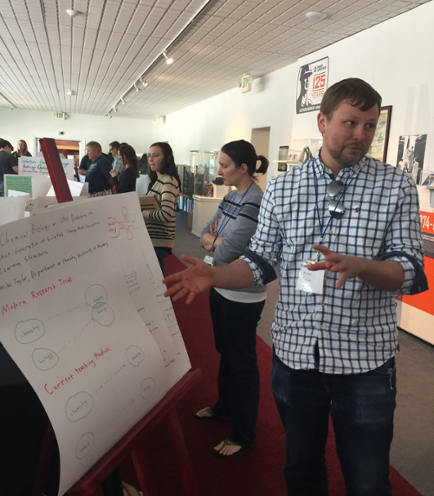 Fellows presented their plans for launching innovative curriculum during the 2016-2017 academic year and with continued LAMP support, they look forward to spreading the ripples of their revolutionized teaching and learning environments. The 2016-17 Fellows included 22 faculty and graduate students across UW STEM fields.